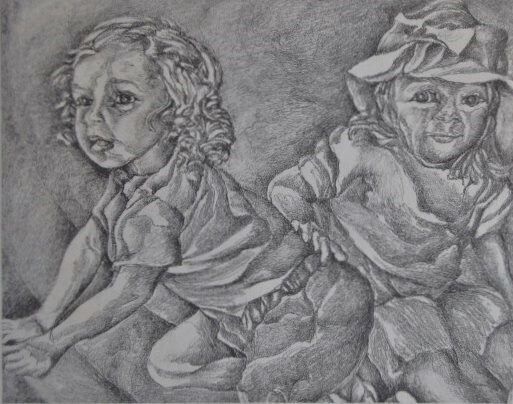 This next work in the three drawing series of Annie and Clare shows the girls beginning to be roused to play. When seen with the other two drawings, this piece reveals a sequence in their movements. « Last in the Series: Whee!! Off they Go! You are currently reading Annie and Clare Beginning to Play at Dr. Mary McNaughton and Drawing.